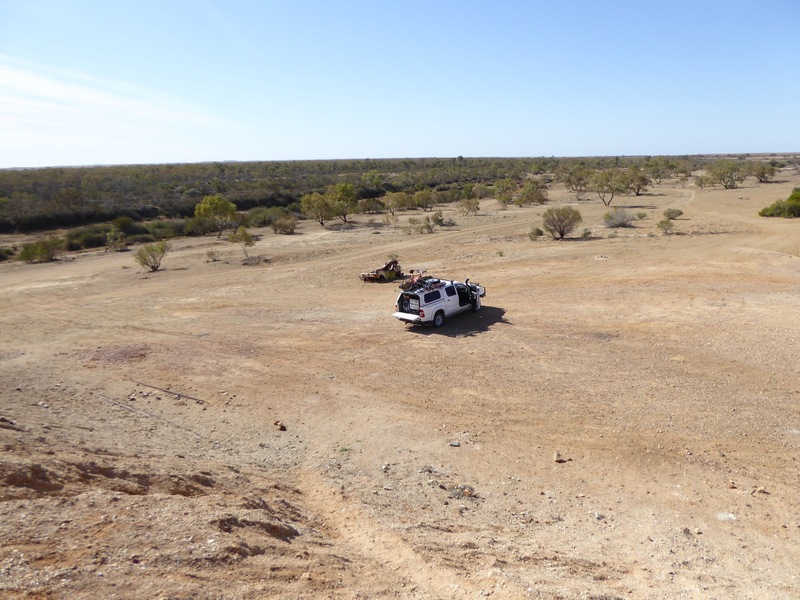 Camped at William Creek and also a spot in the middle of the “Pink Desert “. 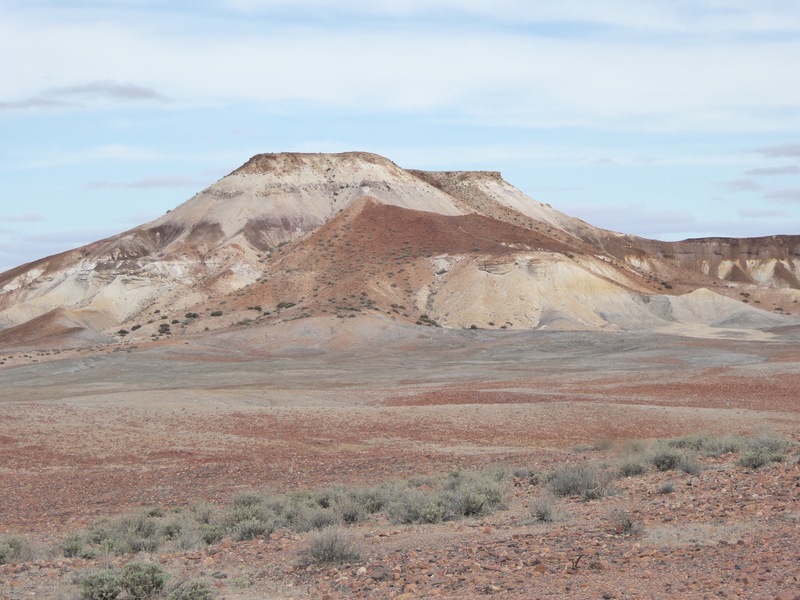 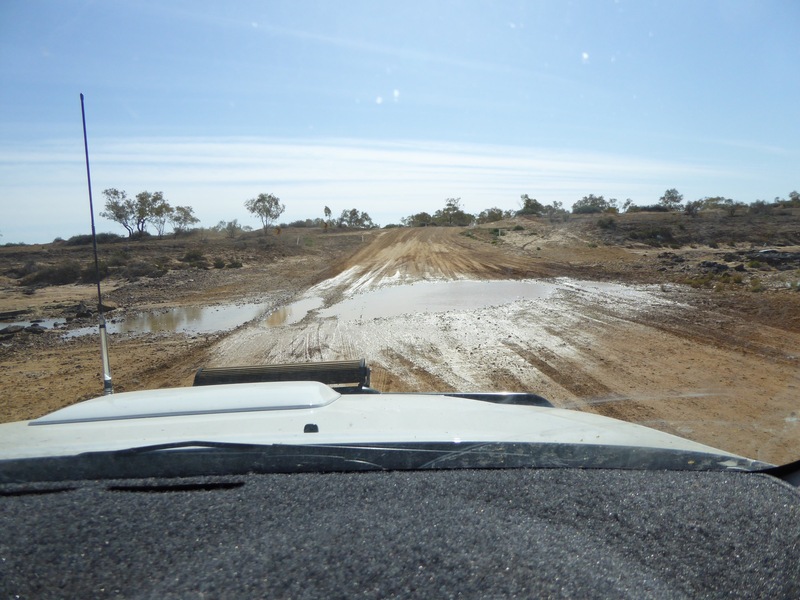 Woke to a cloudy overcast threatening day – unlike the fine days of the last week- and decided to get back to the bitumen again before another rainfall locked us in this arid spot.Just a drive west along the Painted desert and we rejoined the road to Alice. 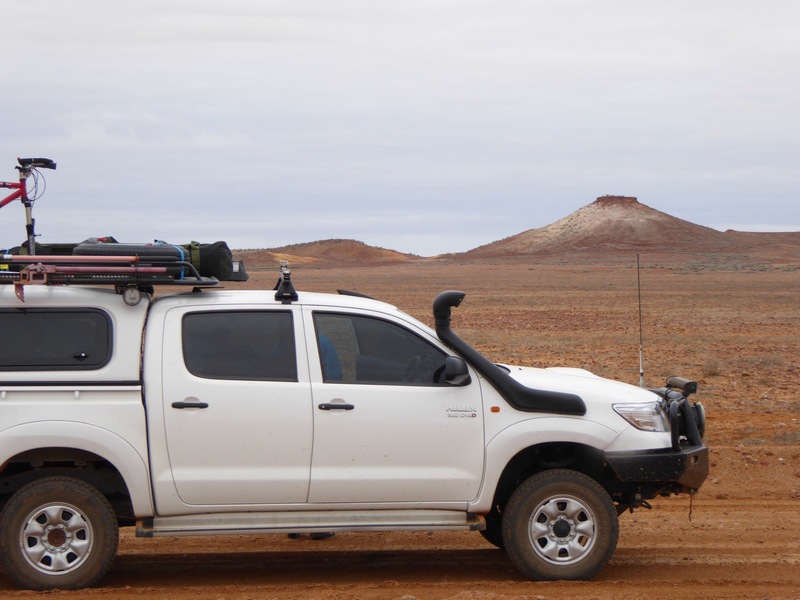 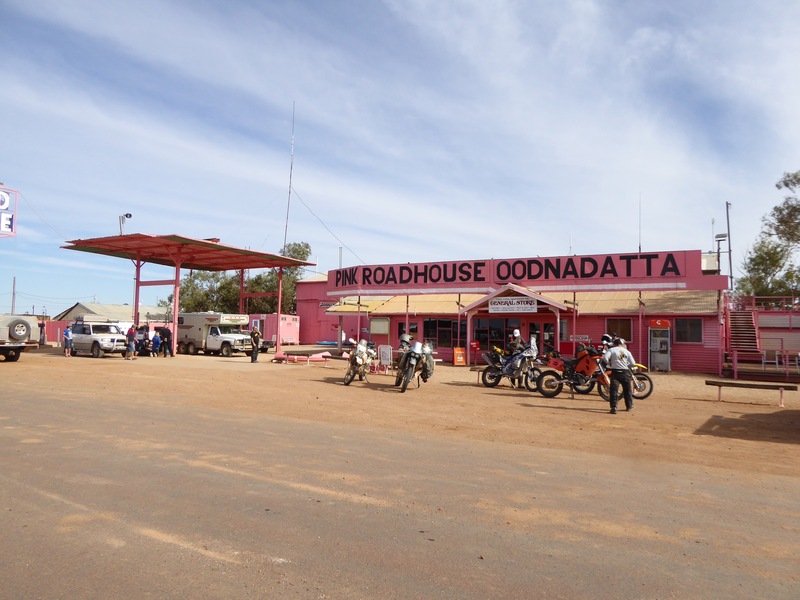 There are many remarkable animal migration phenomenon in this world of ours and here on the Stuart highway we joined the ” great grey nomad migration” lots of caravans , Ma and Pa ensembles , once flowers now dried arrangements , heading for warmer climes of the NT and WA. 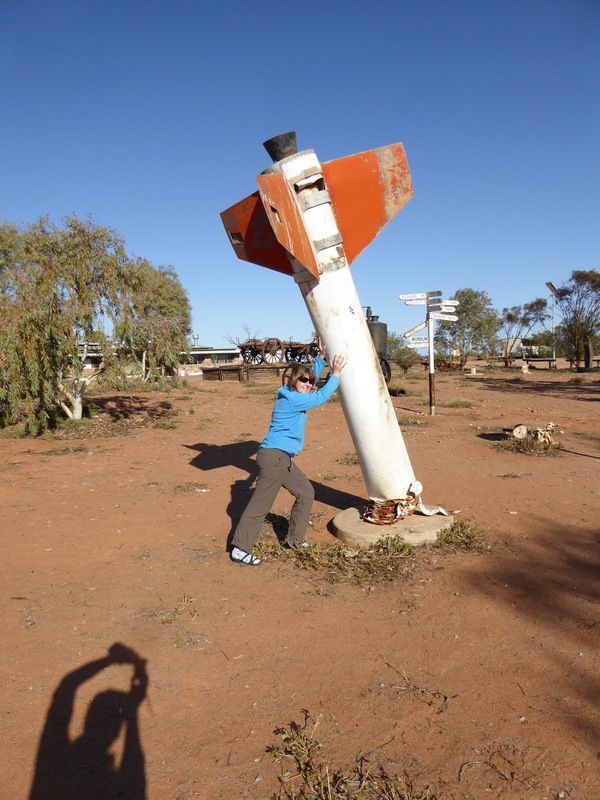 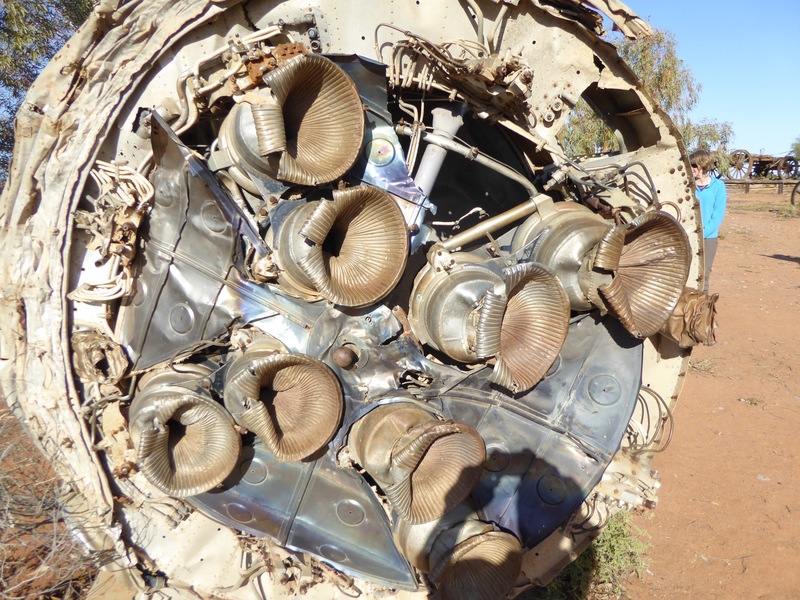 Rockets at William Creek – handover from the days the Aussies let the Poms and yanks test rockets from Woomera .